benefit from an anticipated change in their price relationship. Ask: The price at which the party is willing to sell. Also called the offer. 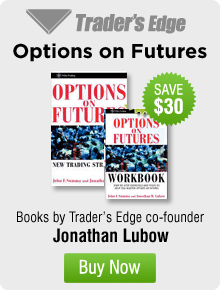 At-the-money: An option with an exercise price equal or near to the current underlying futures price. Basis: The difference between the futures price and the current index value. Basis Point: One-hundredth (.01) of a full Index point, worth $5. Beta: The relationship between the movement of an individual stock or a portfolio and that of the overall stock market. Bear Spread: A spread that is put on with the expectation that the futures price will decline. Bid: The price at which a party is willing to buy. Bull Spread: A spread position taken with the expectation that the futures price will rise. Call Option: An option that gives the holder the right to enter a long futures position at a specific price, and obligates the seller to enter a short futures position at a specific price, if he is assigned for exercise. Cash Settlement: Applies to the expiration of quarterly index options and futures contracts. There is no delivery of securities, and the full value of the contract is not transferred. Final settlement will occur on the morning following the last day of trading when all open positions will be marked to a Special Opening Quotabon based on the component stocks in the S&P 500 Index. Expiring options that are in the-money based on the Special Opening Quotation will be automatically exercised. This results, in effect, in cash settlement for the in-the-money amount. CFTC: The Commodity Futures Trading Commission is the independent federal agency created by Congress in 1974 to regulate futures and options trading. Clearing House: An adjunct of the Chicago Mercantile Exchange through which all CME futures and options on futures transactions are made, and through which all financial settlements against those contracts are made. Covered Writing: The sale of an option against a position in the underlying futures contract. Credit Spread: A spread in which the value of the option sold exceeds the value of the option purchased. value of the option purchased exceeds the value of the option sold. Delta: A measure of the price-change relationship between an option and the underlying futures. Exercise Notice: A notice tendered by a brokerage firm to the CME Clearing House that exchanges an option for a futures position. Exercise Price: The price at which futures positions are established upon the exercise of an option. Also called strike price. Hedge: The limitation of risk in the event that investments do not perform as expected. In the futures context, to hedge is to take a futures position opposite to a position held in the cash market to minimize the risk of financial loss from an adverse price change; a purchase or sale of futures as a temporary substitute for a cash transaction that will occur later. In-the-money: A situation in which the market price of a futures contract is higher than the exercise price of a call, or lower than the exercise price of a put. Intrinsic Value: That portion of an option’s premium that represents the amount an option is in-the-money. Limit Order: An order in which a customer specifies a price; the order can be executed only if the market reaches or betters that price. long has purchased the call or the put option. amount of money required to restore the customer’s equity in the account to the original level. Mark-to-Market: Daily, the CME Clearing House adjusts all open positions to reflect the settlement price of the contract. Each position is credited with profit or charged with loss, and begins the next trading day at the settlement price. Market Order: An order for immediate execution given to a broker to buy or sell at the best obtainable price. Offset: Any transaction that liquidates or closes out an open contract position. Out-off the Money: A situation in which the market price of a futures contract is below the exercise price of a call, or above the exercise price of a put. Performance Bond: Funds that must be deposited with the broker for each futures or written option contract as a guarantee of fulfillment of the contract. Also called margin or security deposit. Premium: The price of an option agreed upon by the buyer and seller in open, competitive trading on the exchange trading floor. Put Option: An option that gives the holder the right to enter a short futures position, and obligates the seller to enter a long futures position at a specific price if he is assigned for exercise. Settlement Price: A figure determined by the closing range, used to calculate gains and losses in futures market accounts. Short Position: Indicates obligation. In the futures, the short has sold the commodity for future delivery. In the options, the short has sold the call or the put, and is obliged to take a futures position if he is assigned for exercise. Spot Price: The current market price of the actual stock index. Also called cash price. Spread: Holding a long and a short position in two related contracts, with the object of capturing profit from a changing price relationship. The term also refers to the price difference between the contracts. Stop Order: An order to buy or sell at the market when a definite price is reached, either above or below the price that prevailed when the order was given. Straddle: The purchase or sale of both a put and a call having the same exercise price and expiration date. Time Value: That portion of an option’s premium that represents the amount in excess of the intrinsic value. 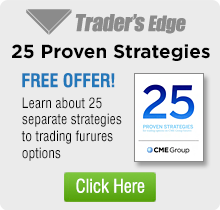 Uncovered Sale: The sale of an option without a position in the underlying futures contract. Volume: The number of transactions in a contract made during a specified period of time. Writer: The seller of an option.